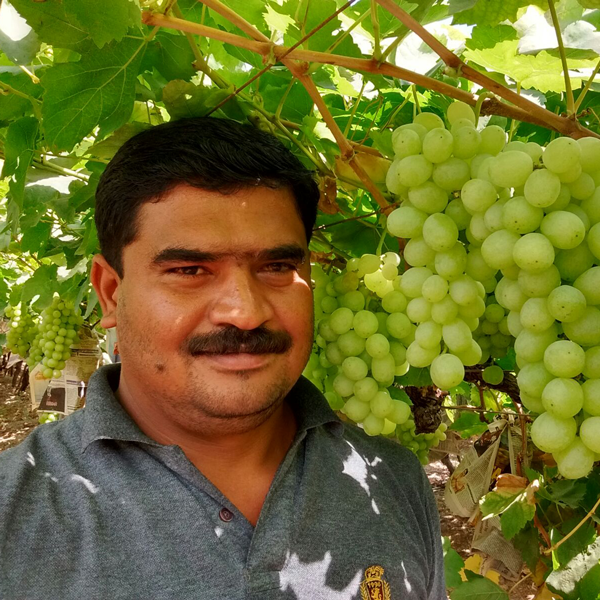 Jumbo Sharad - Is the most superior black grape varieties in the country. This grape also happens to be one of the most exported grape varieties. The size of the berry is good, with a crunch and amazing sweetness. The variety is seedless and has a slightly thicker skin than its purple and green cousins. This is the best grape variety to have this time of the season. This produce is certified Chemical Residue Free grown on a GAP certified farm.